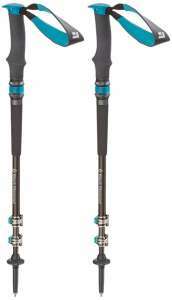 All serious hikers want to know what are the best trekking poles for their hiking. A trekking pole is not a mere supplement to a hiking trip, but a crucial set of gear that ensures your safety, comfort and help you reduce future pains. But are trekking poles for serious hikers only? Clearly, no. They are for all who respect their health and safety. 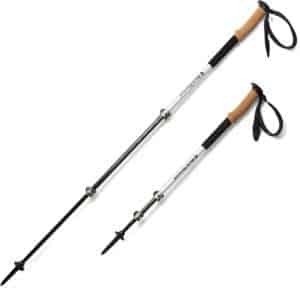 Proper usage of trekking poles, can you walk safer and get less tired. If you ever get any Nordic Walking training, then you will see how trekking poles, proper your speed in ways that seems like floating above ground. They will reduce the load and impact on your hips, knees, and ankles when going downhill, or uphill. Trail runners, Nordic walking enthusiasts, and hikers use them and there is a reason for that. Trekking poles come in diverse shapes and forms. This diversity means that they serve different tasks and purposes. You, therefore, have to find the one that best suits the hiking task you have in mind. You can only achieve such a feat if you make the most informed purchasing decision. 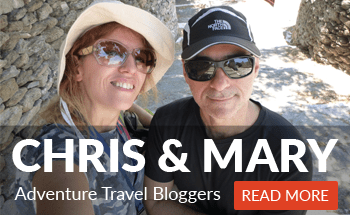 Read along and make sure to check our hiking & outdoors posts from here. A really big range for best gifts for hikers can be found here. For hiking gloves tips and reviews, click here. If you are looking for hiking leggings, click here. A 17 oz. telescoping pole (lever lock), made of carbon with a cork grip. Bit pricey but an excellent high-end product. 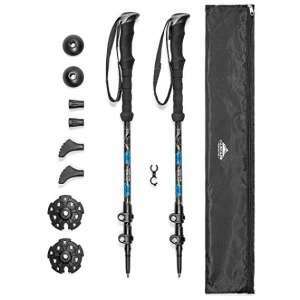 One of the best Black Diamond trekking poles for the money. A 19.2 oz. telescoping pole (lever lock), made of aluminium with a foam grip, made for women. Shock-absorbing technology, FlickLock (maybe the the best pole-locking mechanism), the dual-density grip & padded wrist strap sized specifically for women. A 19.2 oz. telescoping pole (lever lock), made of aluminium with EVA foam grip. Suitable for heavy use and difficult terrain. Choke-up extensions on the grips, easily adjustable straps, in-field adjustments for the locking part. Rubber tips and baskets included. Aluminum shaft. Highly packable set of trekking poles, FlickLock® technology, 3-section foldable design with SlideLock. Easily transition from summer to winter by swapping the trekking baskets. Nonslip EVA foam grip, moisture-wicking straps, interchangeable carbide tech tips and rubber tips. 1 lb. 2 oz., Ultra-lightweight, SpeedLock2 with SAS Lite spring system, Aergon Grip, Aluminum HTS shaft. Lock Security Strap (Skin), Antishock Dynamic Suspension System. 14.8 ounces, carbon shaft, EVA foam grip, with ergonomic shape. External Lever lock, adjustable wrist-straps, Powerlock 3.0, trail basket. Fitted with trekking baskets & durable tungsten carbide tips. Trip protectors included. 1 lb. 2 oz., aluminum shaft with cork grip & dual-density rubber tops for a solid grip. FlickLock adjustability with ”zero-slip” security. Τrekking and powder baskets included. 13.6 ounces, carbon fiber shaft, EVA foam grip with non-slip extension. Carbide Tech tips, topper basket with shaft catcher. Rubber Tech Tips avoid rock and trail scarring. 13.9 oz, pole mostly for Nordic walking with Speed Lock 2 adjustment system. Shaft is made from aluminum (upper section) and carbon (lower section) materials. Flex Tip Short, power grip pad. 1 lb. 4 oz., aluminum shaft with cork grip. Low profile Powerlock 3.0 with trail baskets & padded wrist straps. 1 lb. 2.3 oz. HTS aluminum with cork and rubber Aergon grip. Kevlar reinforcement, push-button release, air-textured strap wicks, nylon mesh carry bag. Edgeless shape on grips for comfortable hand positioning. 1 lb 5 oz, aluminum shaft with carbide tip. EVA cork handle, rubber boot tips, neoprene wrist straps. Snow and hiking baskets are included. 8 oz, carbon fiber shaft. It comes with either twist lock or quick lock and grip varies to cork and EVA. Tip is from Tungsten Carbide. 4 Sets of Additional Tip Covers Include: Boots, Mud Baskets, Snow Baskets and Small Tips. 20 oz., anodized aluminum shaft with adjustable padded wrist strap. Non-slip carbide tips, protective tip cover for transit, rubber tip cover for use on cement/pavement. 12 ounces per pole, aluminum shaft, carbide/rubber tip, anti-shock mechanism, mud disks to prevent sinking on soft terrain and wrist straps. Generally speaking, it is necessary to purchase a trekking pole that is appropriately reinforced. 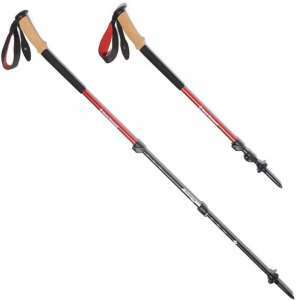 These are basically trekking poles which are sold in pairs rather than individually. They are superior to the single pole in the sense that they last longer and are also more reliable. Moreover, you may use one as a substitute for another. This reality comes in handy when you are confronted with an emergency situation which requires some prompt response. The single hiking staff is only suited for trekking on flat land with almost no extra load on your back. Grip refers to the firmness with which your hand holds the pole. It is largely determined by the kind of material that makes up the exterior surface of the pole. It subsequently determines the reliability of the pole especially in times of intense impacts and violent vibrations. The trait is also a necessary consideration if you happen to sweat profusely. 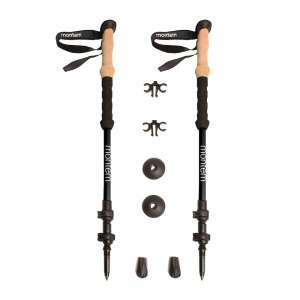 By far the best trekking poles on the basis of this consideration are ones that are made from rubber, foam, or cork. These materials have consistently proved to be quite reliable and handy indeed. Other than the grip, it is also necessary to consider how the pole will feel on your hand when you touch it. This is why the texture is also a vital consideration. The best pole under this consideration ought to have some rough outer surface for a maximum great feel. It should also ideally be contoured as to be able to provide additional traction. Other than these, the best pole also ideally ought to be tilted to several angles. This is to guarantee your use regardless of the inclination of preference. It is common knowledge that men and women possess varying physical strengths, likes, and dislikes. This is why most products are specially manufactured to mirror and respond appropriately to these differences. It is necessary also therefore to consider the gender of the person who shall utilize the trekking pole. With regards to this, you are strongly advised to buy only those products that are suited for the specific gender you have in mind. 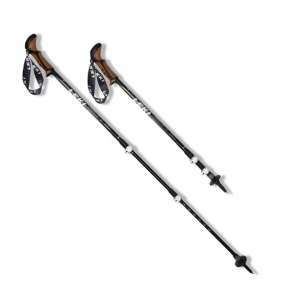 Some companies issue trekking poles that are marked as “women specific”. The difference is the narrower diameter grip, intended for smaller hands, and a shorter maximum length. A good case are the REI Co-op Flash Carbon poles. This pole can extend to 47 inches, while the men’s extend to 55 inches. Alternatively, if you can find one that suits both genders equally, by all means, do go for it. While trekking on snow in the winter, it is not uncommon for you to experience the issue of post-holing. This simply means that the pole plunges into the water beneath the snow mainly due to too much force being exerted on the snow. The end result of this event is usually an injury or at the very least, a fall off. To guarantee your safety as you trek in winter, the pole you settle for has to have a wrist strap. You basically coil and fasten your hands on the strap to enhance your safety. The kinds of materials that are used to make up the pole determine its longevity and reliability, especially when tackling difficult chores. It is also important that the materials be as light enough to guarantee a smooth usage and lifting of the pole. By far the best materials are Aluminum and Carbon fiber. These two materials are ultra-light, very stable, and pretty resistant to the various elements of deterioration. They are therefore more likely to confer to you the awesome levels of reliability you badly need. Given that trekking is an activity you undertake infrequently, you have to be mindful of the storage space requirements of the trekking pole you are interested in. Find one that has the smallest dimensions possible. This is to demand the least amount of storage space. While at it, take care of the packing aids. Some of the issues you might want to consider are the existence of loops, the collapsibility of the various parts, and its ability to fit suitcases as this determines whether you might carry it on board an airline or not. Apart from the dimensions, you definitely also want to pay attention to the weight of the pole itself. A good pole should be extremely light in weight as not to inflict too much drag on you. Such a consideration is also important if you lack the necessary muscle power to handle a tougher pole. In case you plan to hike uphill, you badly want a pole that is extremely light as you will be moving against gravity. A heavier version will do you some good if you are trekking on flat terrain or downhill. When trekking in rough terrains, your hands will often feel too shaky owing to the intense vibrations. If this problem is not mitigated appropriately, it might normally inflict blisters or peel of the sensitive skin of the palms of your hands. It is hence important that you take care of these shocks as well. To forestall these problems, you have to ensure that the pole you have in mind has excellent shock-absorption capabilities. These capabilities come in various shades and forms. Common examples include spring-like mechanisms, spring-loaded cushions, and extra flex features. Adjustability refers to the ease with which you might modify the dimensions and inclinations of the trekking poles. A good pole definitely has to be highly adjustable. While traveling uphill you require a shorter length and vice versa. The trait, therefore, has a role to play in your stability while trekking. Some of the features to look out for while ascertaining the adjustability of the pole are the bend, extensions, and contractions. These determine the likelihood that the pole shall incline at an angle when needed, lengthen or shorten when called upon e.t.c. As stated, most poles are adjustable. This means that they allow you to determine the various parameters such as length and inclination. Whenever you set any of these parameters, you will often have to lock the pole to secure those dimensions and guarantee their applicability at all times. If you choose one that is adjustable, you definitely have to check out that it also has a reliable locking mechanism. You have three main kinds of locks for your consideration. These are the twist, flick, and the unfold-and-slide respectively. For your added safety while trekking on snow, it is absolutely essential that your preferred pole possesses a removable basket at its tip. The main purpose of the basket is to prevent you from driving too deep in the snowy conditions. Additionally, quite a number also have provisions for the accommodation of extra baskets if the need may so determine. This makes them by all means your better bet. It is advisable that you acquire one that has a basket even if you do not intend to trek on snowy surfaces. Finding the right trekking pole does not have to be a life and death affair. It is indeed possible to find one that is affordable. To be able to arrive at such kind of a pole, do compare the prices of the various poles on offer. Thereafter, find one that closely mirrors your expectations and also falls well within your budget space. Most good and affordable poles fall within the price range of $20 to $200. This bracket should act as a starting point for your subsequent search later. You do not want to incur too much expense to keep your poles in the right shapes and forms at all times, do you? On the same note, you also do not want to keep purchasing newer poles every quite often. It is against these two backdrops that you want to settle only for an extremely durable pole. Yet again, the carbon fiber and aluminum poles fit this particular bill perfectly. These materials are generally great and way very resistant to corrosion, cleavage, torsion, curvature, and other agents of deterioration. To guarantee your comfortable and smooth handling at all times, it is necessary that the pole possesses excellent ergonomics. Most good poles fall into three categories under this consideration. They are telescoping, folding, and fixed types respectively. 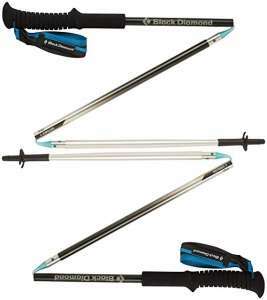 The telescoping poles are by far the most common and ergonomics of the three. This is because they are highly adjustable and also fold easily to expedite the storage. You might want to give them the topmost priority in your search for the right poles. Pole tips are the portions of the poles that get into direct contact with the ground. They are the ones that confer some stability to the pole and enable you to stay stable, focused and balanced. It, therefore, follows that their structural makeup has a bearing on the kind of experience you might possibly accrue. Those with a tip made of hardened steel are by far the most reliable. Do go for them as a first priority. If possible, it would also be better for the tips be angled or bendable. The argument here is that such traits allow for added agility. While enjoying your popular treks, you should not inflict any harms or damages to the environment or terrain you ply. This is why you have to be sure that the trekking pole is as safe to the environment as can possibly be. In particular, you want it to be safe to the vegetation, trails, soil, and the rocks. You should, therefore, ascertain that the poles you have in mind have an eco-friendly mark or certification. This definitely is to guarantee that it will not leave behind any damages such as those mentioned above. While climbing steeper hills, you should be sure that you have an extra grip as you are more prone to the dangers of falling down or slipping. This is where the choke-up extensions come in. These are basically extended grips that are found underneath the upper grip. They confer some secure hold at the lower ends of the poles. They play the role of improving your balance and leverage as you tackle the extremely steep slopes. You may opt for the do-it-yourself versions if you find the conventional ones a bit expensive. Different seasons come along with different requirements. Trekking in winter, for instance, imposes some unique challenges that are not confronted in the summer or spring for instance. You must, therefore, be mindful of the season you plan to trek. For winter hiking, the trekking pole has to possess a removable basket or at least have a provision for the attachment of the same. The ones for the summer hikes have to possess reliable grips to fasten your hands effectively. Lastly, the ones for the springs have to have sharp-pointed tips to guarantee excellent balance and support on the slippery grounds. If you can find one that is suited for all the four seasons, by all means, go for it! You will save some money and effort in the process. 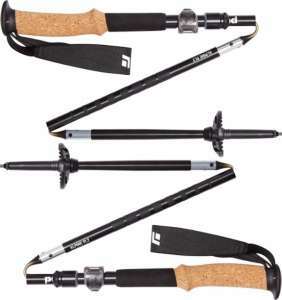 Versatility refers to the sum total chores that the trekking pole can perform at any given time. It is determined chiefly by the number of accessories that the pole might accommodate at any given time. One that attaches to many different accessories is definitely more versatile than that which lacks that capacity. What kinds of application options does the pole confer? Is it possible to change the tips, baskets, and other components while confronting different kinds of terrains and environmental conditions? Does the pole give you numerous options and varieties to hold or manipulate it? The field of the manufacture of the trekking poles is awash with numerous players. Not every player taken randomly may yield you the desired outcomes. Some players have proved to be quite effective than others. They are Black Diamond, Leki Micro, Montem, REI, and Gossamer. 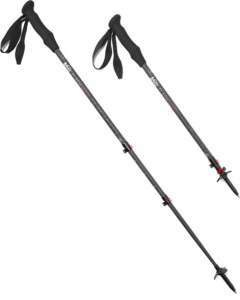 In your search for the right trekking pole, do consider giving them a higher priority. Other than selling you high-quality poles, they also have an excellent track record and reliable customer support. You are better off with them as the supplier of your gears. Generally speaking, good poles are expensive to acquire. They are also delicate in that they may easily inflict some injuries on you if they have any structural defects or inappropriately handled. You, therefore, want to factor the after-sale services that are offered by the manufacturers of the poles. A good pole must be backed by a comprehensive manufacturer’s warranty to guard against structural defects. They must also be accompanied by a reliable back-end customer support to handle any emerging issues or queries. It is only then that you may shop them with confidence. Grips slipping, cork deteriorating when used, shaft parts not locking well… Do we need to tell more? Are cheap poles worth your safety, long-term knees and back health and comfort? 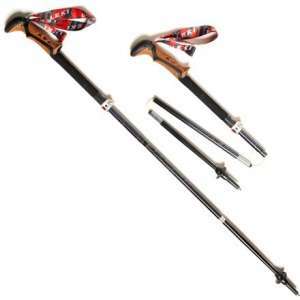 Finding the right trekking pole is not an easy task as you might have already noted. You have to put in too many considerations to be able to arrive at the best purchasing decision. Do find someone who is more experienced and who understands your passions and unique preferences to guide you. It is only then that you will be able to make the most informed decision ever. By the same token, you might also want to skim the testimonials and reviews of past buyers. They are more likely to give you a clear picture of just what to anticipate from these poles once you purchase them. You are not the only one who needs this information. Kindly consider passing it on to as many others who might need it as possible! Best of luck also as you take the first major step towards finding the right trekking pole for your use.